The PHE Screening helpdesk team. 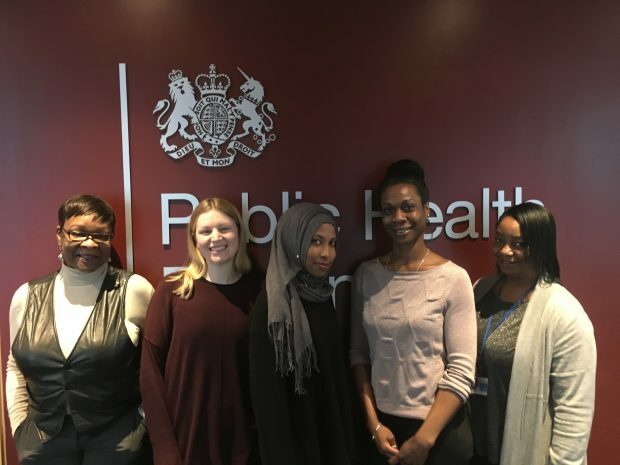 The Public Health England (PHE) screening helpdesk is a centralised service providing a single way of contacting the PHE screening team, including the UK National Screening Committee secretariat. We’re here to help members of the public, local screening providers, stakeholders and healthcare professionals involved in the screening pathways at all levels, from consultants, GPs and midwives to screening technicians and medical students. You can contact the helpdesk on 020 3682 0890 or PHE.screeninghelpdesk@nhs.net. Read our helpdesk-related blog articles for more information. The helpdesk is not for media enquiries, which should be directed to the appropriate press office contact. For queries we can answer without the help of colleagues, we aim to resolve 90% within 3 working days. For queries that require escalation to specific colleagues, we aim to resolve 95% within 5 working days. The helpdesk and national programmes do not have access to or provide screening results. Please do not send or provide any sensitive, confidential or patient identifiable information to the helpdesk. The helpdesk cannot provide contact details of individual members of staff. The helpdesk can only answer queries relating to screening in England.